Weekly Update 2018-46: Amazingly challenging drum beats from Arbes, the importance of usability heuristics in design and a board game that tries and fails to create a proper satirization of a demographic. Is this actually a thing? Yes, yes it is. You already know I love Key Largo, but literally every song is great. Finally I was able to convince my handyman to come down and fix up some things in my apartment. Especially the fact that I haven't had a proper towel rack in my bathroom pretty much since moving in three years ago, it's already improved my quality of life! I caught wind about a City of Toronto-led Community Stewardship Program for community members to take part in improving our surrounding greenspace and reversing some of the damage done to our ravine systems. There is even a specific team being assembled for the Nordheimer Ravine, pretty close to my home and a beautiful little trailway. The project won't begin until Spring 2019, but I thought I'd include a link here in case anyone is interested. I've already signed up, I'm pretty jazzed to have a Spring activity to look forward to for the winter. It felt SO SO GOOD to bike into work this afternoon and bang on the drum kit for a couple of hours. I made it all the way through Rolling in the Deep without too many errors, but you'd be surprised how advanced Sweet Child O' Mine is for someone who hasn't touched a kit in quite some time. I've managed to get the base and snare combinations down but adding cymbals is going to be a hurdle. The song requires three more cymbals than the kit at my work even has (and it already has one more than your average kit). I also played around with a tight, fun little drum riff on Key Largo by Arbes - I had to start off at 0.5 speed, then 0.75 before I could actually make it work at full speed. It's very tight!! I am in literal heaven. You can see how huge and echoey this room is, though. Not suitable during work hours. This week will involve more drumming (of course) in the format of our first company band practice! I'm interested to see how we will all play together and if we can even do justice to any of the songs. I'm sure we'll be a bit rough to start at least. On Saturday my friend is having an escape room birthday party. My goal is to ATTEMPT to solve the room, but I am 0/2 for escape rooms so far...so I'm not holding my breath. At least there will be dinner afterwards to soften the blow if we fail. Sunday marks the 114th annual Toronto Santa Claus Parade, which is of course a magical event all on its own. I get to add my own bit of awesomeness to it simply by living where I do - this will be my fourth instance of being able to watch the parade from my apartment window, as well as walking around all the floats in the staging area. Last year I happened to be standing in front of the community centre when all the costumed children came spilling out, it was a really magical moment. Designers have a responsibility to their users to provide all the tools necessary to complete a task. When we make too many assumptions about how the user will go about achieving their goal, we can cause undue frustration and even drive users away from our product forever. This is decidedly not the definition of vérité as used in this context. Basically it's the name of a female American singer, definitely not the definition of the word in a cinematic context. Why would this even be the default definition, a proper noun? In any case, Apple does not provide the user any way to find an alternate definition, resulting in the tool being utterly useless to me in this instance. This goes back to a simple yet very important usability heuristic that I happened to teach to my BrainStation UX Design class this past week. The system should provide an option here for me to declare that this is not the correct definition of my selected word. Embarrassingly for the system, the error in question from which I'd like to recover is not even my own error. This single negative interaction with the dictionary tool has soured me against using it for the foreseeable future, because I don't trust that it will provide me with the correct definitions of words. 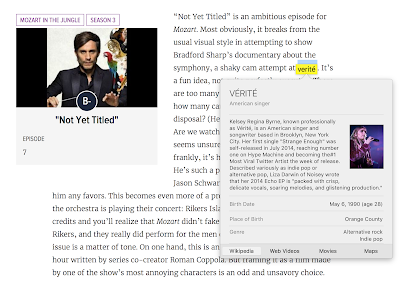 I used Google's definition tool instead, and it told me exactly what vérité is: (noun) a genre of film, television, and radio programs emphasizing realism and naturalism. Now we all know! If you're interested, you can read a short article about all ten usability heuristics. Without these rules, interfaces would be much, much more difficult for users to understand without outside help. While I am something of a board game enthusiast, I have admittedly never been much of a Monopoly fan. 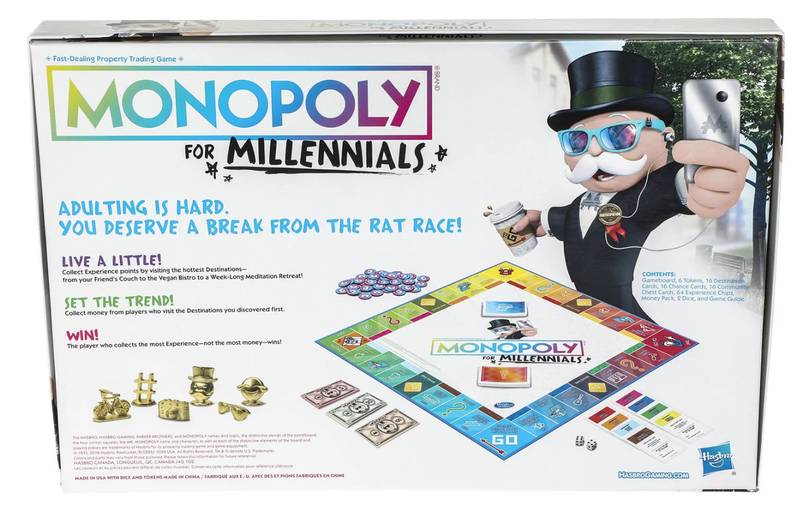 It takes forever to play a game through (though apparently that's because the game's instructions are too confusing to understand how to play correctly - still an issue), it supports capitalist ideals (for better or worse) and it's a little bit out-of-touch with modern life (circa 1935 depression era). There is a LOT going on here. Gotta love the rainbow gradients, that's very millennial. 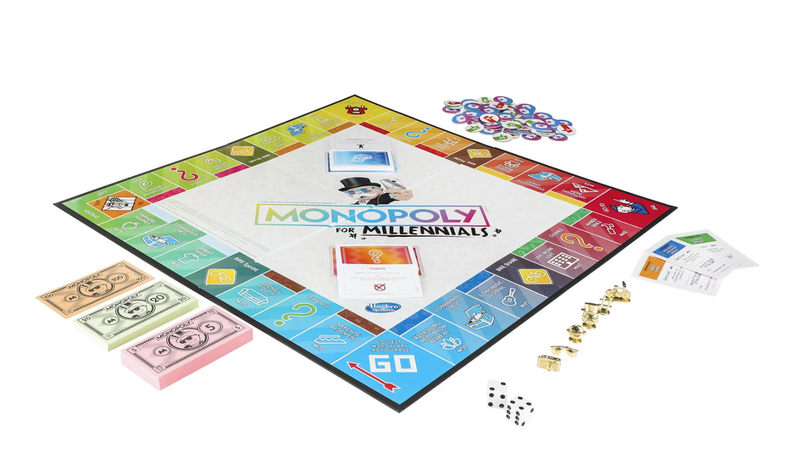 Well, I was happy to see that real money is back, but apparently the point of the game is to blow all your money on experiences and visiting your friends. No one pays rent or buys properties (perish the thought), it's actually marketed as a chilled out version of Monopoly to play in a party setting without the added stresses of attempting to afford property (literal and/or board game based). 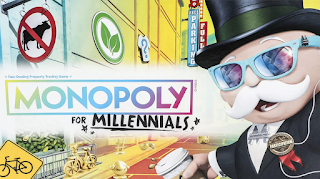 I already strongly dislike the idea of marketing so blatantly to a demographic that hates labels, but this game doesn't even take the risk of properly satirizing the millennial experience. Not to mention, it's already been done. 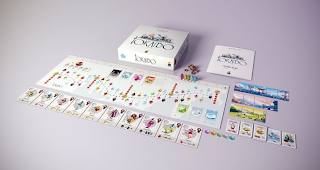 Ever heard of the board game Tokaido? The object of the game is to travel around rural Japan as a tourist and earning experience points. The last one to the finish is often the winner. I own it, and it's way better than this game. Monopoly for Millennials feels like a missed opportunity at best, and a plain old boring board game at worst. I suppose I shouldn't be surprised that this happened, but I'm a little disappointed.